If you’re sick of the hassle and chaos of messy HDMI cables connecting your set top box, gaming console, or other media devices to your TV, then it may be time to switch to wireless HDMI. How does Wireless HDMI Work? Rather than a wired connection from an HDMI cable, wireless HDMI uses a transmitter and receiver. The transmitter connects to your gaming console, cable box, Blu-ray or other media device and sends a wireless signal to the receiver. The receiver is connected to your TV and receives the signal from the transmitter and delivers video and audio to your TV. 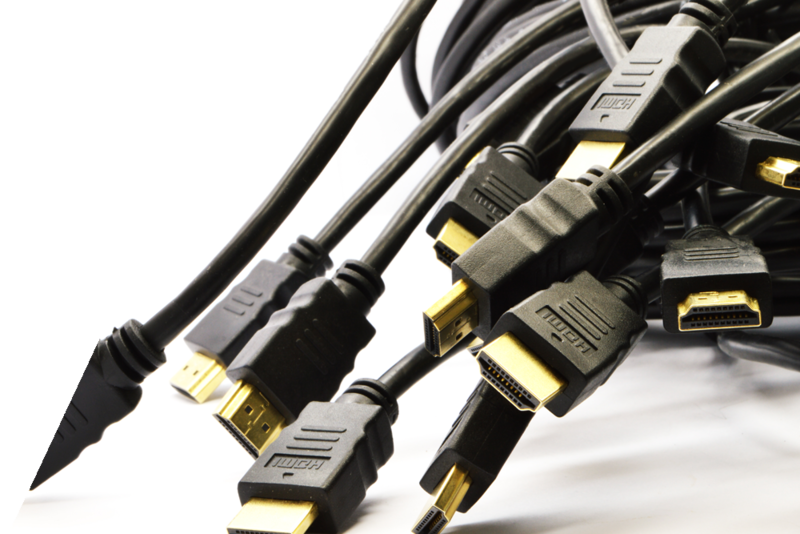 Traditional wired HDMI cables create a cluttered and unsightly appearance. On the other hand, wireless HDMI allows you to have an organized and simplified media stand. Without the limitation of an wired cable, you have increased freedom and flexibility about where you put your media device in relation to your TV. Rearrange to your heart’s content. Set up your TV anywhere: on a media stand or mounted to a wall or in a completely separate room from your set-top-box…all without the limitation of HDMI cables. The typical range limit between a wireless HDMI transmitter and receiver is about 150 feet. What this means is you can have your media device in one room and move your TV to virtually any location in your home or business. Just like wired HDMI, wireless HDMI does not use a home Wi-Fi network connection. Instead, it creates its own direct wireless signal between the transmitter and the receiver. If your Internet cuts out, you will still have access to all your devices. Wireless HDMI kits like MyWirelessTV2 are available at a number of online stores, including Best Buy and Amazon.